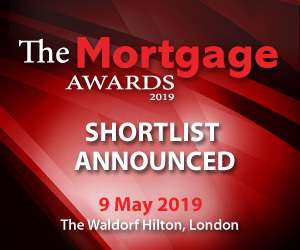 The shortlist for The Mortgage Awards 2019 has been revealed. Now in its second year, The Mortgage Awards aims to reward those lenders and providers in the UK mortgage space that have proved themselves worthy of recognition through offering high levels of services and products. The awards are open to any lenders or providers serving clients in the UK. The shortlisted candidates can be viewed here. The winners will be announced at the awards ceremony and gala dinner at the Waldorf Hilton, London on 9 May 2019. Early booking to attend this prestigious event is advised. Congratulations to our shortlisted nominees and we wish you all the best of luck.